Stoatin Brae is going for a links experience in Michigan. Every year, I make a resolution to play more golf in Michigan. And every year, life—and Wisconsin—get in the way. The Badger State is closer for us Chicago linksters. It has great golf as well as cheese curds. And because we’ve been going there for years, it’s as treasured as my trusty old Bull’s Eye putter. That said, we know Michigan golf deserves attention. And this is the year. Arcadia Bluffs, which overlooks Lake Michigan and has seaside holes reminiscent of Irish links classics, has been on my Bucket List for too long. So has the original Forest Dunes course, an imaginative Tom Weiskopf layout. And now that the Loop—designer Tom Doak’s two-in-one course that plays clockwise one day, and counter-clockwise the next day—has been added at Forest Dunes, there’s no time to waste. And time is what’s needed. Because we’d like to have a go at so many other Michigan courses. Here’s the dilemma. As much as I want to play the highly rated courses, I know from experience in Scotland and Ireland that while the top-100 heavyweights are must-plays, they can leave you feeling beat up. And their nearby friends are often delightful, and less perilous. The West Links at North Berwick, a top-100 course that is home of the original Redan hole, is not to be missed. But the Glen Club, North Berwick’s `other’ course, is so fun. Royal Portrush, which will host the 2019 British Open, is a spiritual experience. But so are the two courses at Ballyliffin, especially if your handicap has more than one digit. 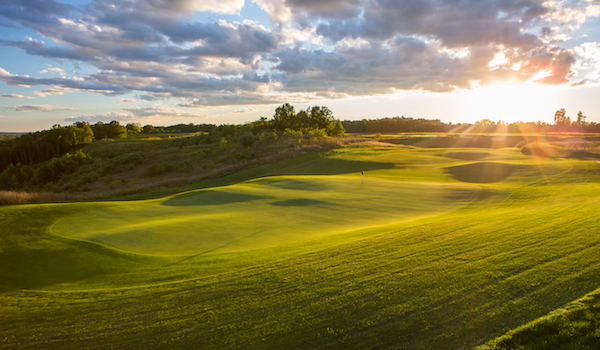 The knowledge that less heralded golf courses can be just as memorable and entertaining as their more famous counterparts opens a whole vast array of golfing options in Northern Michigan. Crystal Mountain has elevation changes, greenery and challenging designs. Whatever you call it, Northern Michigan is home to a ridiculous number of appealing golf courses. My first-hand knowledge is limited to an intensely marvelous week around the Traverse City area. But golf is where you find it. And so, while Northern Michigan is in the golf-world spotlight, I wouldn’t confine myself geographically. I have often stopped at, and enjoyed, Lake Michigan Hills, near Benton Harbor, and Heritage Glen, in Paw Paw, two Southwest Michigan courses that are not far off of Interstate 94. Knowing how enjoyable those courses are, I would readily make a warmup stop on the way to Northern Michigan at Gull Lake View Golf Club, a family-owned six-course resort that offers enticing golf at afforable prices and is just 160 miles from downtown Chicago. The newest addition—and headliner—at Gull Lake View is Stoatin Brae, a links-style course designed to be enjoyable for all skill levels. That’s pretty much the M.O. at unpretentious Gull Lake. 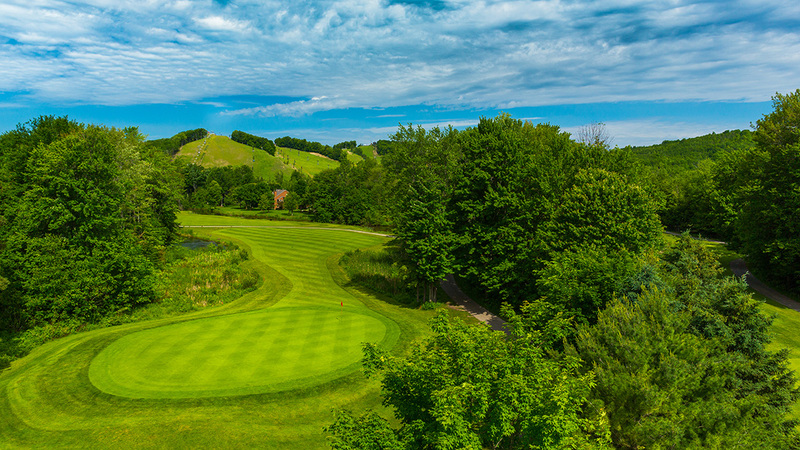 The other Michigan golf that we’d like to check out is played at some of the ski areas, which cleverly have made themselves destinations for both seasons. 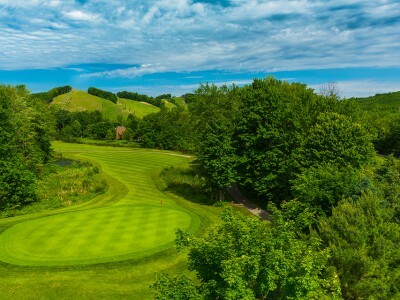 I have played at Shanty Creek, which has a collection of four outstanding courses. Next on the list is Crystal Mountain, which not only has two intriguing courses. It’s less than an hour from Sleeping Bear Dunes and Traverse City, and even closer to Frankfort, Mich.
All are places we want to check out for a variety of reasons. They include hiking in the great outdoors, and checking out the breweries/distilleries that are in shocking abundance in Michigan. I know this may sound like an info-mercial. But honestly, I’m feeling as curious about Michigan golf as I was before we were able to check out Scotland extensively. That said, the only trip on the books so far this summer is to. 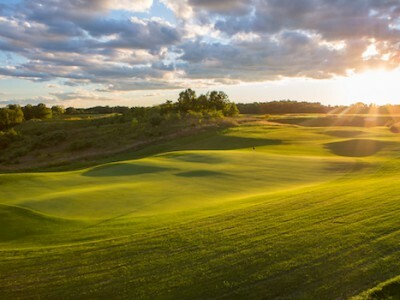 . . Erin Hills, Wisconsin.